Yoshitaka was fortunate to host 3 Sensei's from the Yoshitaka Karate Club - Urbino Sensei A. Camillini (4th Dan), Sensei M. Fanelli (2nd Dan) and Sensei A. Bronchini (2nd Dan) for a 2 day course and grading. USKW Black and Brown Belt Course Report 6th March 2009. 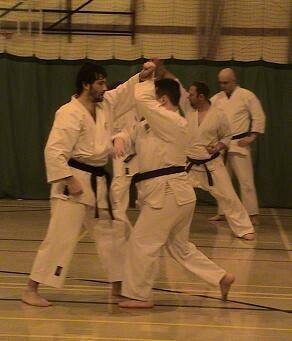 (06/03/09) The one and a half hour course focused on the Sentei Katas - Bassai Dai, Enpi, Jion and Kanku Dai. 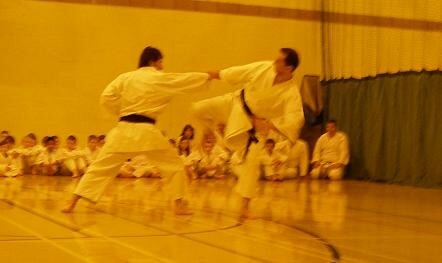 Following Heian Shodan, Sensei A. Camillini introduced the combination kihon kasu san. He has invented a series of six kihon kasu. 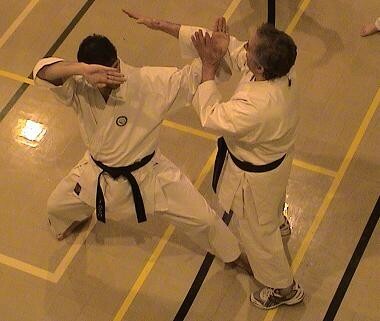 The Kihon Kasu San involves blocking and striking in 4 directions. 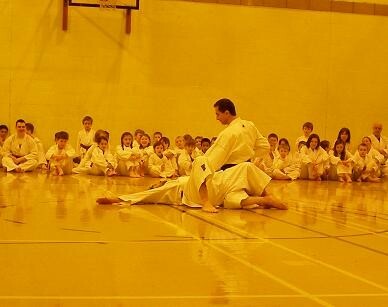 We then went through the Sentei Katas, which Sensei focused on the dynamic practice of kata. 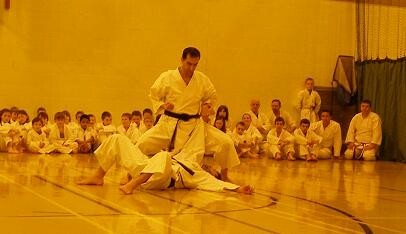 He said one must focus on the technique as one would in kumite - each technique must be done like one would on an opponent. 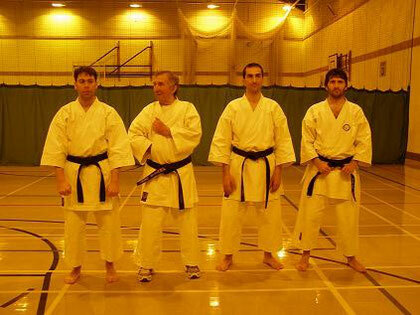 Sensei and his assistants then demonstrated this principle throughout this part of the course, by performing the kata techniques on his assistants - then he invited Yoshitaka to remember the demonstration whilst they did the kata. 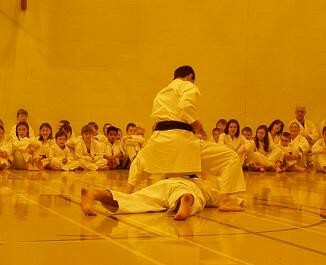 Video from the 1st Annual United Schools of Karate Wales Course. 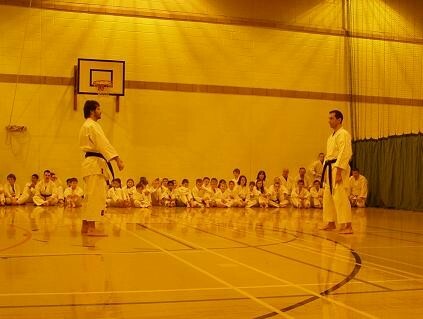 With Sensei Camillini teaching and a display preformed by Sensei Camillini and Sensei Metello Fanelli. USKW First Annual All Grades Course Report 7th March 2009. (07/03/09) The class started with a full warm up lead by Sensei P. Camillini. 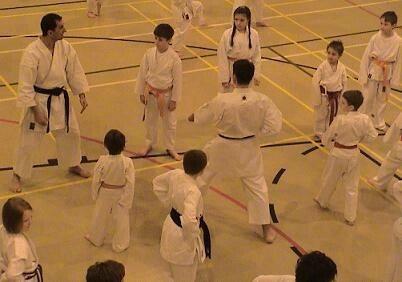 We then all worked together on some basic techniques and combinations, including kicks, kihon combinations and Taekyoku Shodan, before splitting off into groups. 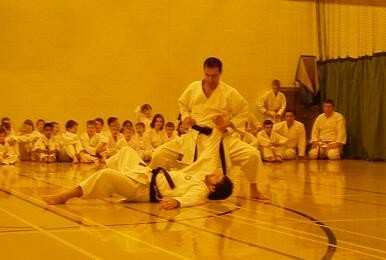 Sensei A. Camillini was assisted by Sensei Fanelli in taking the Brown to Green belts through their grading combinations and Heian kata. 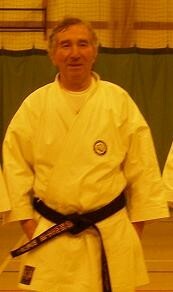 The orange to yellow belts were practicing the relevant grading work with Sensei P. Camillini and Sensei Brochini. The course then closed with a dynamic demonstration by Sensei P. Camillini with Sensei Fanelli, which involved various locks, throws, kicking and punching techniques.